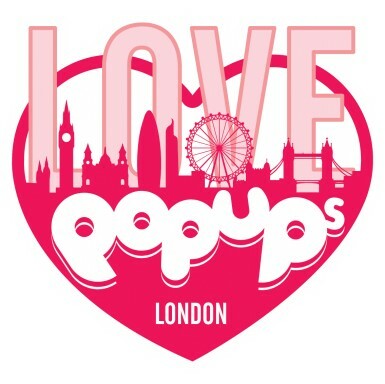 “What is ‘Love Pop Ups – London’ you ask, well it is a community of bloggers, reviewers, vloggers, Facebook users, Twitter users and Instagram users in whom all love to promote new popped up events in London. So if you love, live or are just visiting London then I highly recommend my personal top five places visit! With Alice Adventures Underground you can take a journey down the rabbit hole on an adventure. Before you start your journey you will have a choice ‘Eat Me’ or ‘Drink Me’ just like Alice did. You will then go through on your chosen path through many highly decorated rooms and come across many various characters such as an eccentric Cheshire cat, a very mad hatter, a smoking caterpillar to a bumbling Tweedle Dumb and Tweedle Dee with so much more. All the costumes are striking with even some puppetry along with outstanding acting from the all the performers plus there is also some immersive participation to be had on your adventure. There are four trails in all each with different outcomes and characters in whom you meet making this place worth going back to experience the various trails. 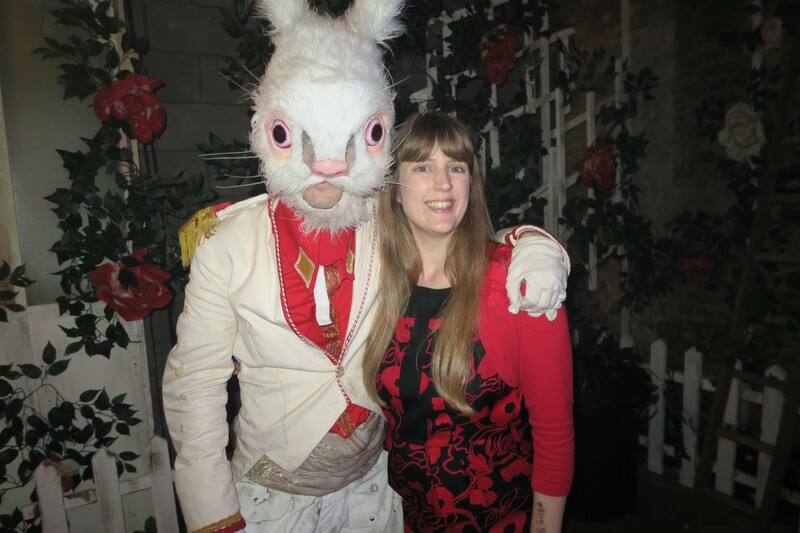 You really will leave this highly entertaining experience feeling that you really did travel down the White Rabbits hole into Alice’s adventures. This production goes on until 23 September and can be booked via www.alice-underground.com. 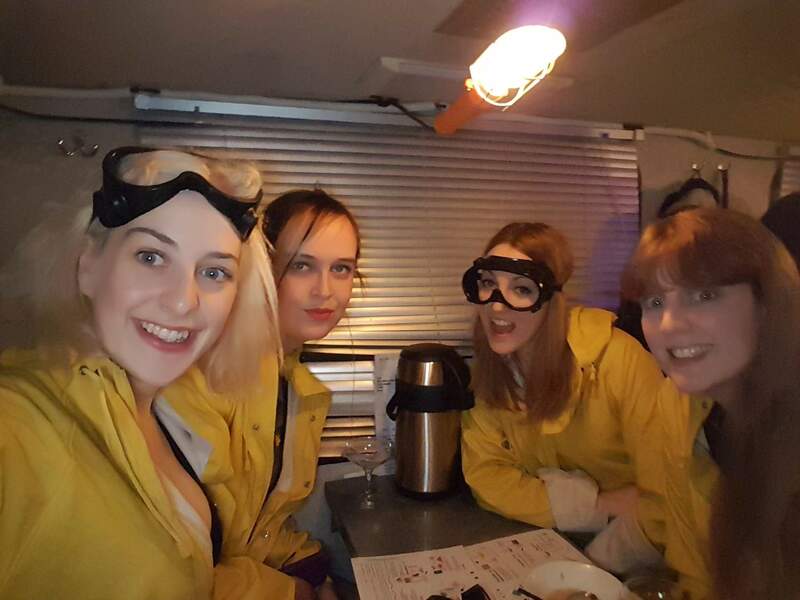 ABQ is the world’s first immersive molecular cocktail bar where you get to make infuse drinks in an RV along to some gangster rap music making you seem like you are in some sort of episode of Breaking Bad. They opened up back in 2015 and since then even opened one in New York. Within the RV you get a welcome drink and a chance to make two cocktails of your choice from the menu. Most cocktails each with a twist be it using either Nitrogen, dry ice or even Hydrosol Air no matter which cocktail you choose to make it will be a fun one. They also provide non-alcoholic cocktail menu for those that don’t drink. There is no other cocktail making the experience in London like it. It’s so unique, slightly dangerous but so much fun. This is most certainly a fun way to spend a drinking evening with friends. To book space go to www.abqlondon.com. Not a pop-up but certainly a really great event space and night out is, Tropicana Beach Club it is the place you definitely want to be if you want to party like you’re abroad. From the moment you walk through the doors, you feel like you have been transported to a paradise island in the Caribbean. You could encounter young Baywatch hopefuls, fire eaters, exotic dancers, Caribbean band players and even be faced with a limbo challenge. Whilst enjoying all the fun at Tropicana you can also purchase a bit to eat from curry to vegetarian burgers and even enjoy the tropical cocktails on offer with most being served in an unusual way from a flamingo mug to a sharing cocktail that comes in a yacht. You will totally forget that you are in the hustle and bustle of London and you will certainly come out feeling very joyful after partying the night away to the Caribbean sounds of Tropicana Beach Club. From the moment you walk through the doors, you feel like you have been transported to a paradise island in the Caribbean. You could encounter young Baywatch hopefuls, fire eaters, exotic dancers, Caribbean band players and even be faced with a limbo challenge. Whilst enjoying all the fun at Tropicana you can also purchase a bit to eat from curry to vegetarian burgers and even enjoy the tropical cocktails on offer with most being served in an unusual way from a flamingo mug to a sharing cocktail that comes in a yacht. 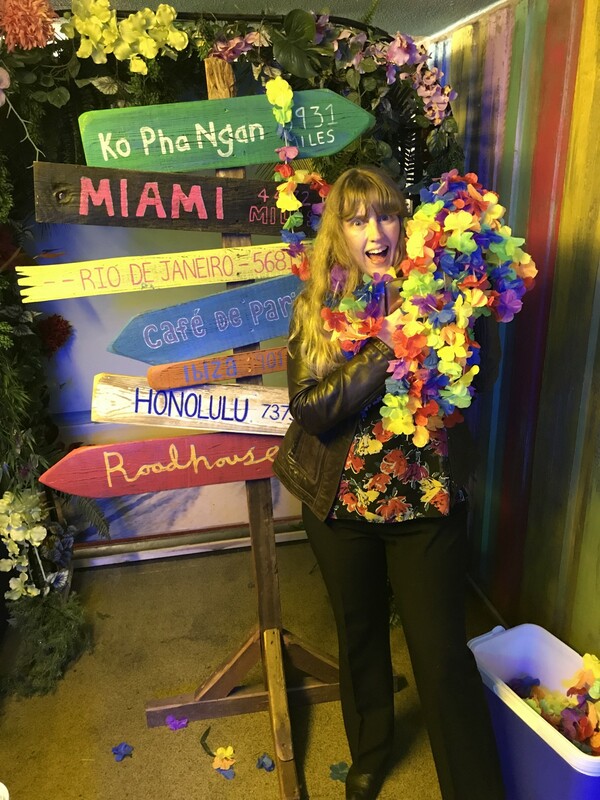 You will totally forget that you are in the hustle and bustle of London and you will certainly come out feeling very joyful after partying the night away to the Caribbean sounds of Tropicana Beach Club. 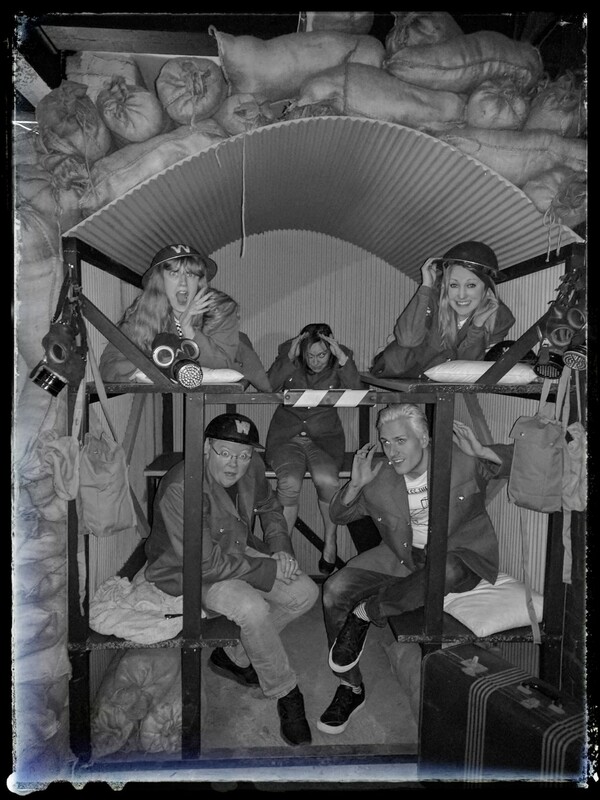 If you love escape rooms then this is a unique escape room as not only is it based on the war but it is also held in a historical disused underground station which used to be South Kentish Town that was used as shelter from the bombs during the World War II. Upon going down the hallway to the reception area you pass many old black and white photographs showing people that used the underground as shelter from the World War II. You are eventually greeted by the owners and are given World War II style jackets to wear for your mission in which you are about to embark. However, firstly you get to watch a short video which shows Winston Churchill (well a lookalike) who gives a speech. 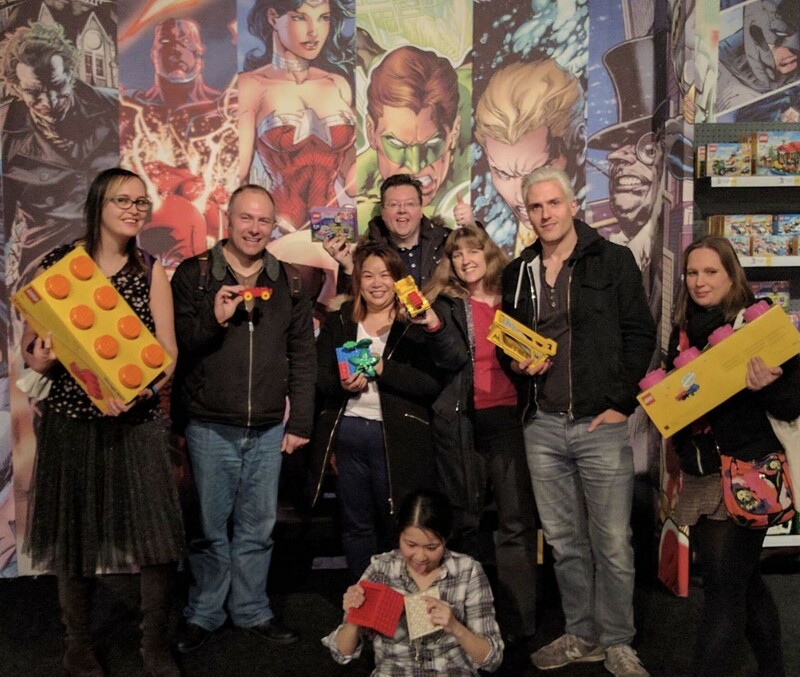 After the video, we are then led by the host to the escape room which at this point we get locked in and have just 60 minutes to escape. There were several rooms that are all highly decorated keeping with the war theme with sounds that are played through the rooms giving a unique eerie atmosphere. Without giving too much away all I will say is that you have to hunt down clues, solve many puzzles and decode many different style enigma machines. So if you love escape rooms and want something that is slightly different and with a historical as well then this is one that has to be played whilst in London Camden Town. To book a slot go www.missionbreakout.london/. All the blogs about the above places and others new blogs can be found at lovepopupslondon.com.